One Minute with a Shai-Guy! My next One Minute with is someone whose writing has been appreciated by the BBC and NBC, is a DJ, who has been on Eastenders and is an inspiration to me. A fellow Bollywood buff who appreciates well made cinema…. Shai Hussain! Shai, how did you discover you had a passion for writing? My mum bought me up on Amitabh Bachchan and Anil Kapoor. Then my sister introduced me to Star Wars, Indiana Jones and Back To The Future. The rest is history. As a city, Manchester without a doubt. It’s got everything London has in a more compact place for half the price. But my sis, most of my friends and girlfriend are here. So London it is. In your career what is your biggest personal achievement to date? Getting Gordon Anderson (The Inbetweeners) attached as director of Til Jihad Do Us Part when it was pitched as a feature film. But seeing that hasn’t work out (yet), I’d say getting Goodness Gracious Me heroes Nina Wadia and Kulvinder Ghir to reunite and work with me on the BBC Radio 4 adaptation. Personally, what was your biggest achievement to date? To change the way people think through the films that I make. Oh, and to play Glastonbury. My loyalty says Priyanka Chopra (we’re both from Jamshedpur) but my eyes say Katrina. Neither have really done it for me as actresses yet though. The most enjoyable part of your recent trip to Mumbai? Shekhar Kapur (director of Mr India, Bandit Queen, Massoom and Elizabeth amongst others). Having worked on both UK and Bollywood productions, I think he’d the perfect person to direct all of these historical British-Indian ideas that I have. What is in store for Shai in the future? Currently working on a sitcom called ‘Generasians’ for NBC Universal, a revolutionary social media soap opera called ‘Our Town’ with Oldham Theatre Workshop (launching in March) and my stageplay ‘Material World’ will play in Bolton on the 24th Feb if there are any northerners reading. For the far future, after realising that there’s no space for a writer to hang onto their creative integrity in Bollywood, I’m now trying my hand at directing. Target for 2012 – 6 short films. Target for 2013 – Microbudget feature film. Target for 2015 – UK-Bollywood co-production. 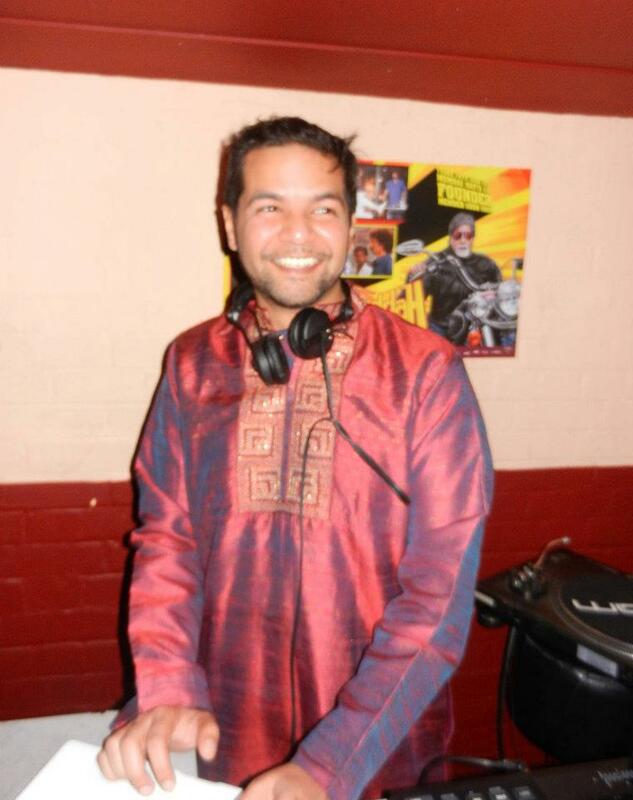 In the meantime, I’ll be making my living through DJing 🙂 (next gig Bollywood Bitesized, Sat 4th at the RichMix in Shoreditch, London).